Welcome to the home of Aero Space & Vehicle Club IPMS Wombourne. The Aero Space and Vehicle Club is a long standing club, which has recently celebrated its 50th anniversary. 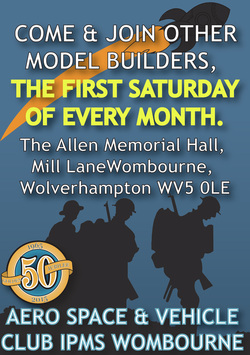 Meetings are held in Wombourne village the first Saturday of every month, where a range of modellers all meet up to discuss anything model related over a cup of tea. The club can also be seen out on the road at various shows throughout the year. 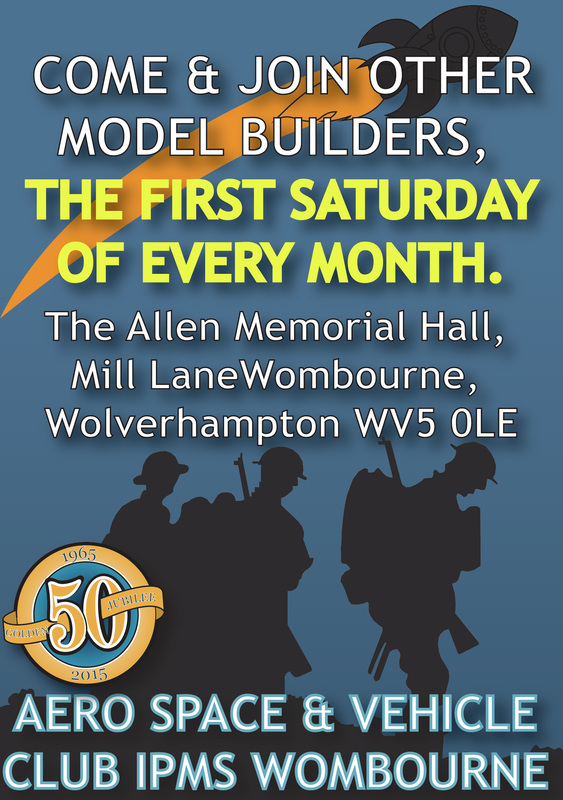 If your interested in scale model building, do not hesitate to have a look through our site to find out more about the club and where we meet. You can contact us below through Facebook, Twitter or email.